Parscalization is playing out across the large and growing Democratic field. President Donald Trump left many in Washington scratching their heads when he put his 2016 campaign’s digital chief in charge of his entire reelection effort. But now Democrats are embracing that strategy too. Bernie Sanders, Elizabeth Warren, Cory Booker and Beto O’Rourke are among the White House hopefuls replicating Trump’s approach by giving senior campaign leadership roles to data and social media mavens. It’s a recognition of how central the online space — from raising breathtaking gobs of money via email to winning the minute-by-minute messaging wars on social media — has become to any candidate for the White House. Many Democrats also begrudgingly acknowledge that Trump, who ran a famously chaotic presidential run in 2016, is setting the pace for how to integrate internet strategy into a campaign by promoting Brad Parscale. Trump plucked Parscale, a San Antonio web designer who built websites for Trump Winery and other Trump family projects, to run his 2016 digital shop. Mocked during the campaign for overseeing a bare-bones — and to many observers, ad hoc — operation that seemed the opposite of President Barack Obama’s data-driven juggernaut, Parscale has since earned respect in his field for his extensive use of online advertising and social media, which helped propel his long-shot candidate into the White House. 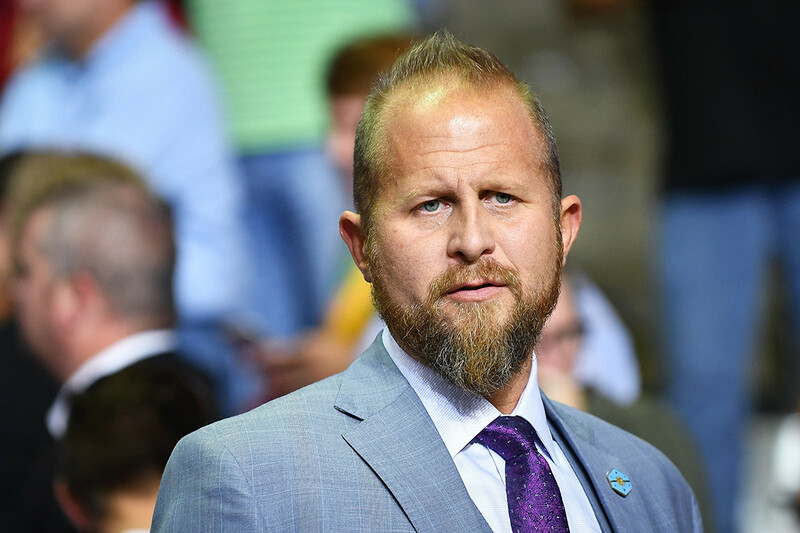 Trump named Parscale his 2020 campaign manager last year. Now Parscalization is playing out across the large and growing Democratic field. Sanders in February named Faiz Shakir, the onetime director of new media for Nancy Pelosi, to run his campaign. Booker hired Jenna Lowenstein, the digital director for Hillary Clinton’s 2016 White House run, as deputy campaign manager. And O’Rourke picked political data expert Jen O’Malley Dillon as campaign manager and is relying on Becky Bond, a long-time digital organizer, for strategy advice. Warren, meanwhile, tapped Joe Rospars, chief digital strategist for Obama’s successful 2008 presidential bid, to serve as a senior strategist. Other digital vets are sprinkled throughout the top ranks of Democratic presidential campaigns. That’s a switch, say Democratic campaign professionals. Today the stakes are even higher. Early success online can entirely frame a candidacy, and misfires can doom a nascent bid. “Now it’s just so clear that if you don’t have a senior leadership team that really understands how to dominate social media and the ways that news travels around the web, you’re just at a huge disadvantage,” said Laura Olin, a Democratic digital strategist who led social media strategy for Obama’s 2012 reelection. Digital experts point to O’Rourke, who nearly instantly parlayed the online attention — and email list — he assembled during his losing 2018 Senate contest versus Ted Cruz into a credible presidential bid. Another candidate tapping into the online enthusiasm for his candidacy is Pete Buttigieg, the mayor of South Bend, Ind., population 102,000. “Particularly with the DNC’s fundraising requirements to get on the debate stage, it’s complete malpractice not to put digital front and center,” Sutton said. He was referring to a new Democratic Party policy allowing candidates to take part in its first presidential debate in June if they receive donations from 65,000 people in at least 20 states. “Andrew f—ing Yang will likely make the stage because he focused on that metric,” he added, pointing to the obscure New York City businessman who has been generating online interest on Reddit and elsewhere. The importance of digital outreach and enthusiasm is coming into focus as Democrats announce their early fundraising hauls. Sanders reported receiving $18 million from nearly 900,000 donors since announcing his latest bid for the White House. California Sen. Kamala Harris, who works closely with digital strategy firm Authentic Campaigns, raised $12 million in the first quarter of 2019. Buttigieg declared $7 million from 158,550 donors. O’Rourke announced Wednesday that he had raised $9.4 million in the first 18 days of his campaign. Campaign vets say the new phenomenon of digital experts running campaigns is, to some extent, simple matriculation: With the internet first applied to politics in the early 2000s, the twenty-somethings who worked those campaigns are reaching campaign-manager age for the first time. But there is far more to it than that. For one thing, many American voters expect to be able to engage in politics online, and often through their mobile phones, the same way they engage in just about every other facet of their lives. That ubiquity is mirrored on campaigns, where the internet has changed just about every task associated with winning elected office. That means that digital staffers increasingly work across a range of campaign teams that previously existed as separate fiefdoms. The trend has been seen recently in down-ballot races, too. Former EMILY’s List digital adviser Hilary Nachem Loewenstein, for example, served in 2018 as the campaign manager for Democrat Jane Raybould’s unsuccessful U.S. Senate race. Nicole Aro, onetime director of digital strategies at the AFL-CIO, served as campaign manager to actress and activist Cynthia Nixon’s attempt to unseat New York Gov. Andrew Cuomo. Democrats insist the pattern isn’t a reaction to Parscale’s promotion, and many say they don’t draw inspiration from the Trump 2020 operation. But they acknowledge that the focus on digital is at least in part a response to their struggles during the last presidential election to compete with Trump’s dominance in the online messaging wars, via social media posts and digital advertising. “I think we realized in 2016 that we’re at a disadvantage and not doing as good a job on some of that stuff as Republicans are, and that clearly we’ve got to step it up,” said Olin. Some campaign veterans predict that while the once-marginalized art of digital politics becomes more centralized and professionalized, its practitioners will end up being completely subsumed into campaigns. Many of the digital veterans running Democratic campaigns know one another well, either through past campaigns or through gatherings like RootsCamp, a training event first convened in 2006 by labor organizers and others to share best practices in digital politics. The sprawling presidential primary field, with its more than a dozen declared candidates, will give those Democrats a chance to hone their digital skills against one another. "updatetrendnews.com" is your news, sports, business, fashion website. We provide you with the latest breaking & trending news and videos from all over the world.